LosHairos.com » Haircare » How to choose the right hair color? As a woman, you choose your clothes to match your personality, so why don’t to do the same thing with your hair? Let your hair color and hairstyle say the best about you, without the need to say any word! Read on to find out “the rules” in choosing the right hair color. Choose color that fits your style. Discuss it with your hairdresser or read articles on the internet. Make use of color “temperature” – if you want or need to add energy, playfulness and warmth to your personality, choose shades of red. On the contrary, lighter shades tend to captivation, and also femininity and softness. 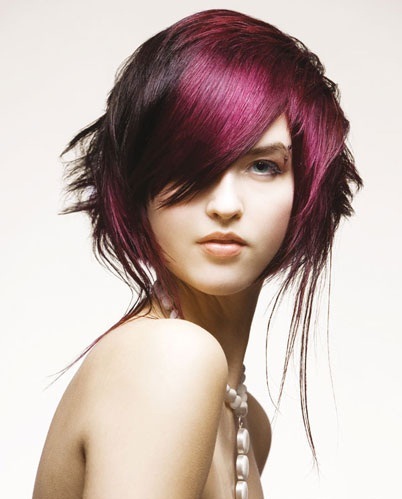 Follow seasonal hair trends that will help you to have modern, fresh and trendy look. Look younger using hair dyes, not only with those that cover up your gray hair. Consider whether you really want highlights or to dye the entire surface of your hair. 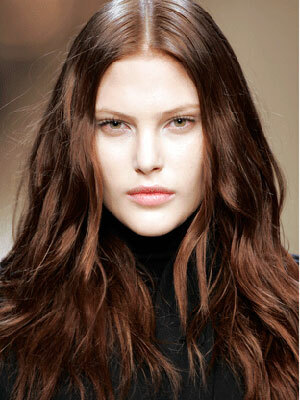 The best is something in between when one hair color contains the lighter and darker shades. Nowadays you have plenty products on the market to choose from. You do not have to use only one hair color, try to combine two different, preferably warm colors with warm and cold with cold. Note: change of hair color can bring big or small changes to your life, so choose an option that is right for you. From soft and temporary hair color changes to permanent, there are number of options from which to choose exactly what you desire. Do not forget to do proper hair care and to use hair cosmetics to your dyed hair. Hints, tips and tricks on how to choose a hair color depending on color typology, we will bring in one of our articles in the future, so feel free to come back here, we will be happy. This entry was posted in Haircare, Women’s hairstyles by michalman. Bookmark the permalink.